Online ordering menu for Ojeda's Tex-Mex Restaurant (Dallas). At the intersection of Maple and Kings, next to Parkland Hospital and Maria Luna Park, Ojeda's is a great place to come and get delicious Tex-Mex food. We have everything from Poblano Relleno to Enchilada Dinners. Get your food faster and fresher by ordering online. 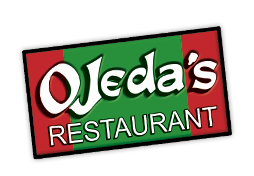 So skip the line, order online, and come pick up some delicious Ojeda's Tex-Mex today!